One of my favourite weeks of the year is our annual family vacation. Each year we pick a region in the States, set up base renting a home from vrbo.com and then go exploring. This year our home base was Lancaster County, Pennsylvania. Here’s the house we rented this year—it was beautiful. As always, we had a super week. We visited Gettysburg, Hershey’s Chocolate World and amusement park, Longwood Gardens, Herr’s potato chip factory, and spent a day swimming in the ocean in Chesapeake Bay and tubing on Pequea Creek, a beautiful little tributary of the Susquehanna. Everyone had horses, and we felt very privileged to be there just twelve hours after our neighbour’s horse gave birth to a beautiful black foal. Coming home is always bitter sweet, but we made it extra sweet by having a double ice cream day yesterday. We stopped in Jim Thorpe, PA for a walk about and an ice cream cone, then had sundaes at Friendlys for dessert for our last supper on the road. I can’t think of a better way to end a vacation. This week’s #HappyAct is to have a double ice cream day. Throw caution and your waistline to the wind just once. Why not today? 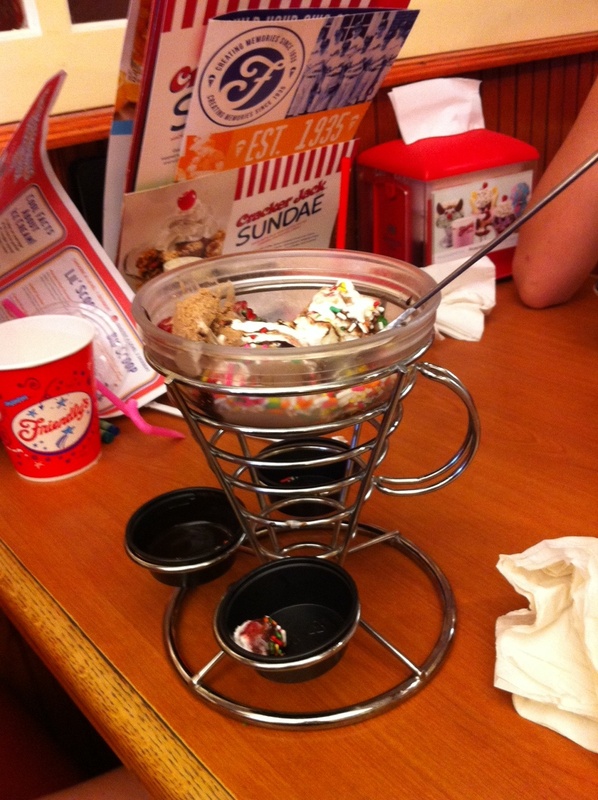 After all…wait for it…it is sundae! 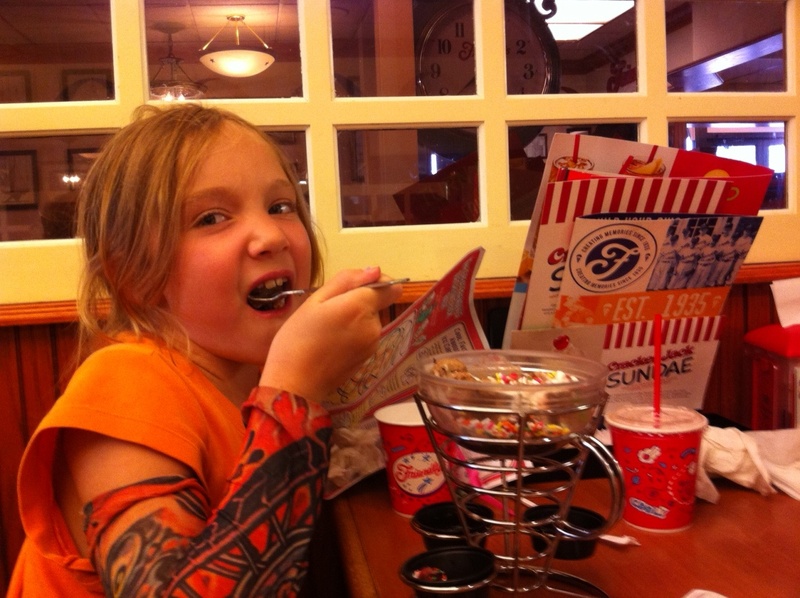 We like Friendly’s too. Hope you went with the Jim Dandy, you might need a few people to finish it though. Hey, did you visit any Amish attractions while down there? We didn’t visit any Amish attractions, but were in the heart of Amish country. We had many neighbours who were Amish and we enjoyed watching them work in their fields and on their farms with their horses. We toured Herr’s potato chip factory with a Mennonite family and enjoyed talking to them. Their kids stop school in mid-May for 3 months so they can help out on the farm during the summer months. On the Sunday, we toured that area and saw many Amish and mennonite families going and coming from church and visiting. They have such beautiful farms, and it’s such a sustainable way to farm.